Last year a cold snap produced some abstracts as rivers froze and air bubbles became suspended in clear ice. 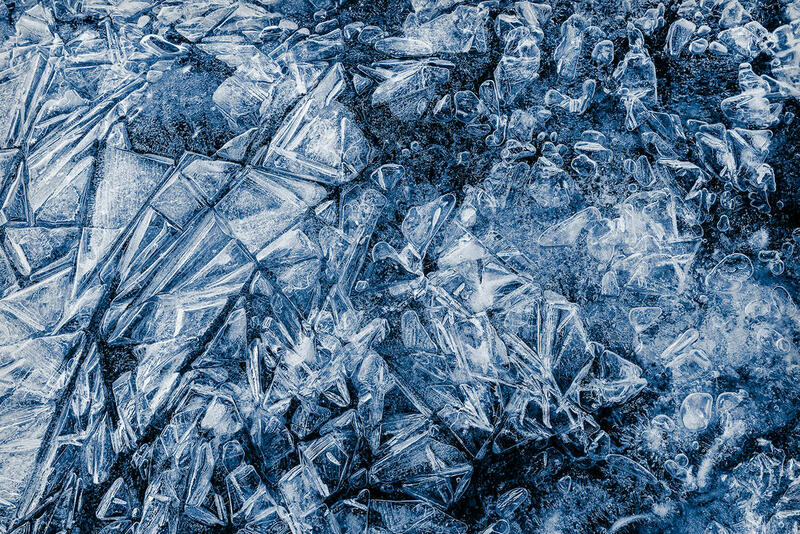 This photograph was from a section of ice around 12 inches across. Shown in a 5 canvas panel arrangement, sized 96x64 inch.